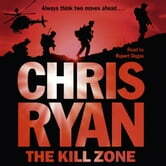 The guys in the Regiment know they face their fiercest enemies when they fight the Taliban. No-one is tougher, more deadly - or more cunning. And if they enter the Taliban's kill zone, they know just what to expect... 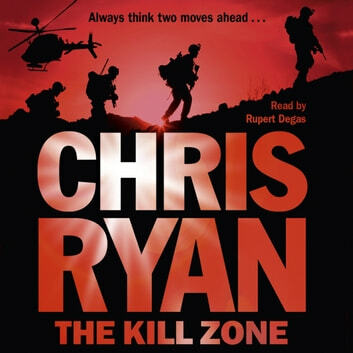 When three deadly Stinger missiles go missing in Helmand Province, the Regiment is tasked to retrieve the weapons at all costs. SAS legend Jack Harker has to lead an eight-man mission into a suspected Taliban facility. He's suspicious about what the aims of the mission really are - and it's about to go noisy. Meanwhile, in Belfast, Siobhan Byrne, a highly trained surveillance operative, is infiltrating the drug crew of a former IRA commander. But are her motives professional or personal? Even she doesn't know any more. Neither Jack nor Siobhan can guess just how closely linked their operations are about to become, or just what's at stake. But as the President of the United States makes plans to visit the UK, a devastating plot unfolds.